You can do it! Persevere Marianne! Even if you miss the year of the bicentennial, it is still a worthy endeavor. It is baffling that Hollywood can’t take the time to do a fantastic historical movie about such an interesting prodigy. I look forward to your book. Jane, thank you for your encouragement! Just yesterday, a literary agent I queried requested my full manuscript, renewing my enthusiasm. That’s wonderful! I am remembering your other short story fiction (rock star stranded in boondocks) and wishing you might finish that too. I have developed a late-in-life crush on Sting. Ah, Pepper, how cool you remember that story, too. I’ve just begun a second project, a different one, but who knows, maybe I’ll return to NO TWO ALIKE some day. Cheers, my friend! This sounds like a great project. 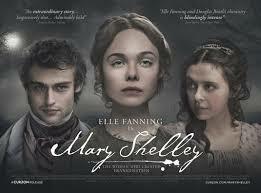 I once watched a BBC history of England that mentioned the man who married Ms. Shelley’s mother, Mary Wollstonecraft. She was one of the first feminists. She played a horrible price for her activities. I am so glad you had such a great experience with Malinda McCollum. She went to Roosevelt High School in the 1980s with Erin, Amy, and Adam. Write on, Marianne, write on! Mary Wollstonecraft Godwin’s father was eighteenth-century radical philosopherWilliam Godwin. Wollstonecraft had one child already, Fanny Imlay, when she met Godwin. Godwin and Wollstonecraft, though they did not believe in the institution of marriage, married when Wollstonecraft became pregnant with Mary. I’m not sure what horrible price you are referring to, but she did die a painful death eleven days after Mary’s birth. The placenta was not expelled, and the doctor the midwife called in removed it piece by piece without washing his hands firs—because the nature of germs was unknown at that time. The grief-stricken Godwin immediately wrote a memoir about his deceased wife, including details about her love affairs and suicide attempts. His honesty ruined her reputation as a feminist for more than a century.